View More In Latches & Bolts. 1006 Series faceplate to customize the functionality of the HES 1006 electric strike. 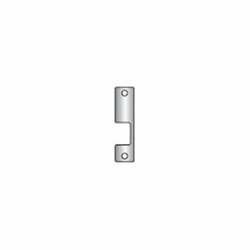 Allows for use with mortise lockset with deadlatch below the latchbolt. The 1006 Electric Strike Series is the strongest and most versatile electric strike available. It meets or exceeds every standard developed for electric strikes. With twenty-seven faceplate options, the 1006 can accommodate virtually every type of lockset on the market. Manufacturer: Hanchett Entry Systems, Inc. Publisher: Hanchett Entry Systems, Inc. Studio: Hanchett Entry Systems, Inc.